The Oculus Rift should still ship to consumers in the first quarter of the year, Oculus says. The long-awaited consumer-grade Oculus Rift virtual reality headset will arrive in the first quarter of this year, as previously stated. Hooray! But if you were hoping to get your hands on the Oculus Touch controller, you’ll need to wait a little longer. In a blog post published Thursday, the Oculus development team said that it “need[s] more time” to finish work on the Touch, so it’s pushing the Touch’s release to some point in the second half of 2016. The company also confirmed the Oculus Rift’s long-stated early-2016 consumer launch. The company originally planned to release the Touch during the second quarter of this year. 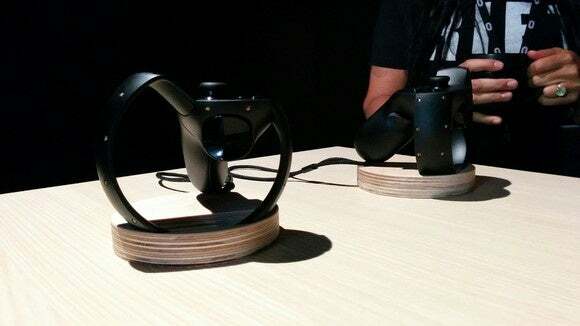 The story behind the story: Oculus first showed off its Oculus Touch controller for the Oculus Rift at a media event back in June. As it stands, however, the Rift will ship with an Xbox One wireless controller. Bundling an Xbox controller may be a necessary move, but it’s one that might make it harder to convince users to buy a separate controller later on, as our Hayden Dingman argued last summer. And if gamers don’t buy the Oculus Touch, Dingman noted, it’ll be harder for game developers to justify building games that take full advantage of the Touch’s capabilities. Oculus says that it will start taking preorders several months before the Oculus Touch hits the market, but it wouldn’t give any additional details as to when that may be. In the meantime, the company says that it’s “outputting larger numbers of pre-production runs” in order to “get a lot more Touch hardware in the hands of developers who need it.” The rest of us will just have to wait.